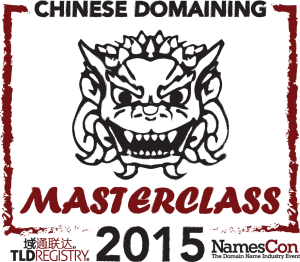 TLD Registry Ltd, the registry of Dot Chinese Online (.在线) and Dot Chinese Website (.中文网) top level domains, ran a masterclass on Chinese Domaining during the NamesCon 2015 conference in Las Vegas. 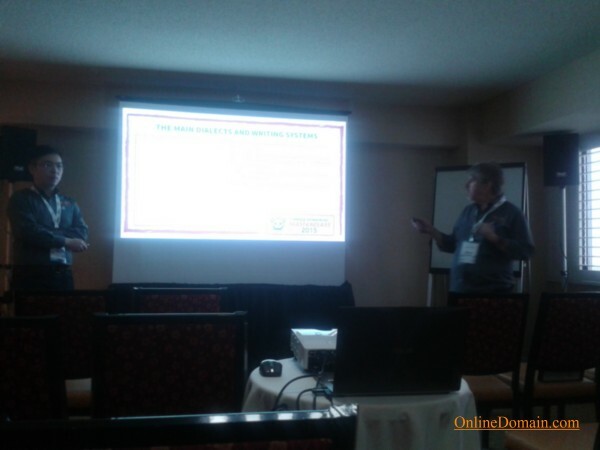 Chinese IDN experts Simon Cousins and Jin Wang of TLD Registry presented four different sessions of the masterclass every single day of NamesCon and the whole masterclass was very successful and well attended. The main session of the masterclass was titled “Chinese Domaining Masterclass Main Session.” while the other three sessions were “Top 10 FAQ’s to Chinese Domaining”, “Thinking Beyond the 8: All About Chinese Numeric Domains.” and “Online Tools and Services for Chinese IDN Domaining”. TLD Registry is running its own New gTLD tool located at ChineseLandrush.com that helps non-Chinese speakers to understand and invest in Chinese domains. At ChineseLandrush.com, visitors always find 500 hand-made domain name suggestions. All IDN New gTLD domain names listed there are available to register. IDN domain names are very sought after in China. But IDN adoption is just taking off and that is because of problems that started back in 1998 with an ActiveX plugin. The Chinese language is difficult but despite what many people think there is a logic that can help people learn it faster. The Chinese language has 7 to 13 regional written styles depending on the classification system used. 1.2 billion people speak Chinese as their first language. Pinyin, a system used to write Chinese with English letters, is “devilishly” imprecise. Similar but different Chinese characters are grouped by ICANN into Variant Sets. When one variant of a Chinese character is registered in a domain name then other domain names from the same variant set become blocked and will not resolve. Arto Isokoski, CEO of TLD Registry, told me that ICANN will soon allow blocked domain names from a variant set to resolve. There are going to be 39 Chinese IDN New gTLDs launched. There are many different ways to write Chinese on computers and mobile devices. Some new methods are very innovative. Numeric domain names are very popular in China but not just because they are universally recognized and easy to remember. But also because in China numbers are used to form a pun. Is not just about 4.cn. There are at least 8 other popular domain name aftermarket services such as 22.cn, 88.cn, domain.cn, net.cn and yumi.com. Do you have any questions? Maybe I or someone from TLD Registry can answer them for you. Kon, so many thanks for your coverage of our work! We love Chinese IDNs and increasing numbers of western domain experts, such as yourself, are now starting to dive below the surface and understand the specific commercial opportunities, which are legion.